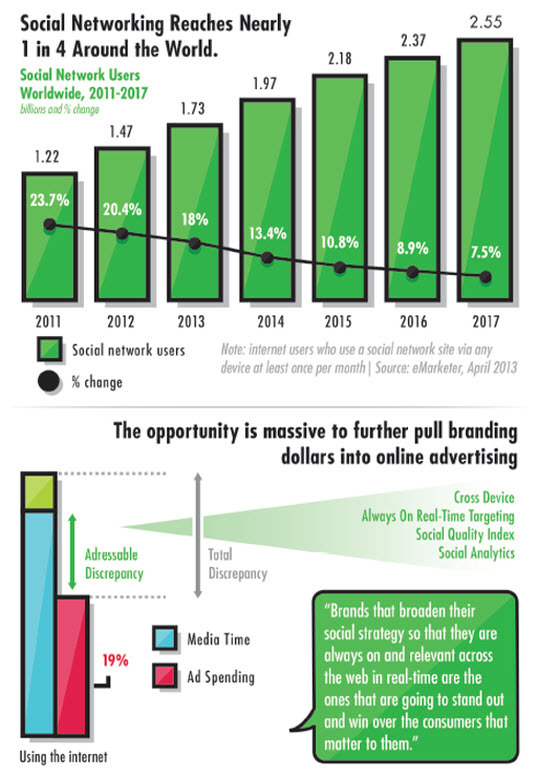 With nearly one in four people active on social networks worldwide, according to eMarketer, social media has redefined the advertising landscape. Consumers are sharing brand-related content all day, every day—and they are doing so across the open Web, beyond Facebook and Twitter. Understanding consumer sharing behavior can help marketers reach the right audiences and engage with them in a more meaningful way. At the same time, relevance has a deadline. Examples such as Tide at the Daytona 500 and Oreos during the Super Bowl suggest that brands that react quickly and appropriately to events are more successful with their social campaigns. It's no longer enough to simply know that consumers are sharing; today, marketers have to be able to understand what, when, where and how their brands' audiences are sharing so they can activate around events and trends in real time. In doing so, they can adapt to what matters to their customers and be an organic part of the conversation. ShareThis provides actionable insights based on the sharing habits of 95% of the U.S. Internet population across more than 120 social channels that show what, when, where and how content is being shared at any given time on any device. Brands can use these insights to activate around social conversations and trending topics, and engage consumers at relevant times across video, display and mobile environments. ShareThis also provides the first universal measure of sharing activity, SQI, to value sites and content that generate the most activity. By optimizing toward high SQI-rated sites, campaigns reach the most social audiences and generate higher user engagement. The brands that broaden their social strategy to be always on and relevant across the Web in real time will stand out and win over the consumers that matter to them.